Daphne is arranging the flowers from Jim in a vase while chatting to Helen. She laughs at the card which could be easily mis-interpreted - "Thanks for last night, love Jim"! Daphne says she was beginning to think she'd been sleep-walking! As Helen is leaving, Des comes in. Daphne says Des is looking pleased with himself. He explains that he's proposed to Joan. Daphne doesn't look very chuffed and starts to stalk off to her room. She says she'll start looking for a place tomorrow. Daphne says she doesn't want to be hanging around when Joan and the kids are there - it won't be her home any more. Daphne says Des doesn't need her approval. Des says that Daphne is his best mate - he thought she'd be happy for him. Daphne realises she's been carrying on like a selfish brat and wishes Des well. She says they'll always be mates. Daphne asks if Des has told Eileen yet(!) - he'll have to tell her at some point. Des says he's going to go next door and tell the Robinsons. DES: I'm really going to miss your cooking, kid. He kisses her on the cheek and heads off. DAPHNE: I'm gonna miss you, mate. Helen is sketching Jim in the kitchen. Des comes in with Lucy and tells them that he'd got engaged to Joan. Everyone is very pleased and Jim offers him a beer. Des explains that Joan has twins, and Lucy is excited that there'll be more kids in the street. Apparently Des has to wait four weeks to get married. Jim and Helen offer Des to have a small engagement party at their house. They all toast Des. Daphne is trying unsuccessfully to hang a picture. 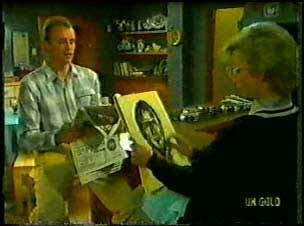 Daphne tells Terry about Des's engagement. Terry is surprised, but pleased. Daphne says they'll have to move out, but they're both used to moving a lot by now. They talk about sharing together, but Daphne says she finds living with girls gets complicated - she'd rather live with a guy or on her own. 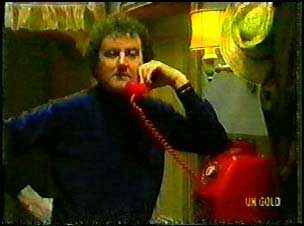 Danny answers the phone to a man from Radio 12 called Edward Campbell. 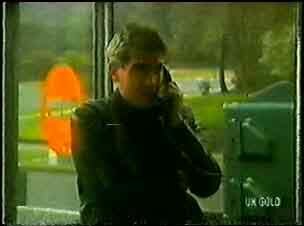 I don't think he's really from the Radio though as he seems to be calling from a phone box(!) He tells Danny that he can win a prize if he answers a question. Danny answers the question with some help from Maria and is told he's won some tickets for a show. The man takes down his address and says he'll have the tickets round to Danny within an hour. Danny is veyr pleased. Oh dear, this doesn't sound good. Danny comes round looking for Scott. 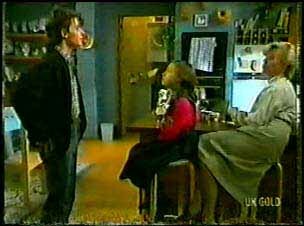 He tells Helen and Lucy about the radio quiz and him winning the tickets. Danny comes round to congratulate Des on his engagement, but Des has just gone out. Daphne tells Danny to take a seat - she's got something to tell him about Des and Joan. Maria is getting ready to go to the show with Danny. She's even called a taxi as a surprise for him. Max is pacing the floors trying to occupy himself by cleaning up. He turns on the television but there's nothing on. MAX: Strewth, who am I kidding? He goes to the phone and rings the Ramsay house. Maria and Danny are just heading out, so decide to ignore the phone. Max goes sadly back into his bedsit. 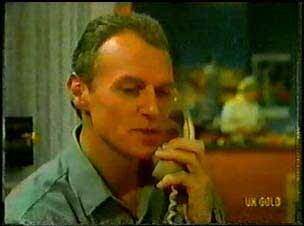 Max leaps up to answer the phone, hoping it's Maria, but it's Jim. Jim invites him round for a chat and a catch-up. Max says he'll make his own way to Jim's - he could do with the exercise anyway. Maria and Danny are having a great time. Max heads off. Before he goes he calls Maria one last time. The man from the radio show answers the phone - he's clearly broken in (why is he answering the phone?!) 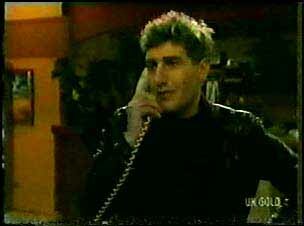 He tells Max that Maria is in the shower, and Max bangs the phone down. 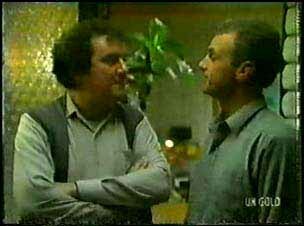 The bloke's accomplice tells him they should just get on with it. 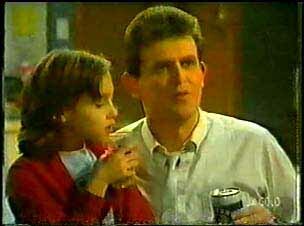 Daphne tells Terry that she's had a word with Danny about relationships. She says that Danny could grow up to be a charming young man. TERRY: Just like his brother! Daphne looks a bit surprised. Max has arrived, but is in a bit of a bad mood. Jim gets him a beer. Max, Helen and Jim chat about Des's engagement. Max is cynical about marriage, and also Shane's relationship with Daphne. Suddenly Max gets angry - Maria is with a different man every night. 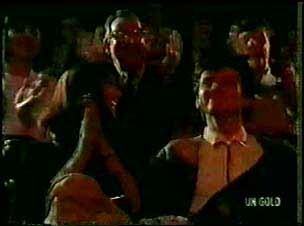 Jim and Helen are confused - they know that Maria has gone to the theatre with Danny tonight. Max says he knows that she hasn't. They agree to disagree. Max is heading off home, thanking Jim for a nice evening. 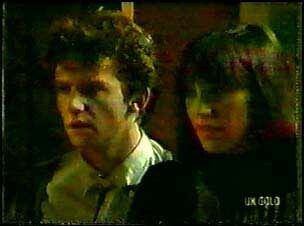 When Max has gone, Jim and Helen think that Max is obsessed with the idea of Maria seeing other men. Maria and Danny are back from the show. They've really enjoyed it and Maria thanks Danny for taking her. When they go into the house though, they find it has been ransacked.